Knowing how the Canadian Express Entry visa program works is essential for those seeking permanent resident status. As with any immigration process, however, there are some vital details you’ll need to understand before you get started. Who Is the Express Entry Program For? The Express Entry program can help you become a permanent resident of Canada. This status means that even though you’re a foreign national, you have permission to stay and work in the country indefinitely. To maintain your permanent resident classification, you must reside in Canada for at least two out of every five years, pay Canadian taxes and avoid committing serious criminal infractions. As a permanent resident, you’ll be barred from voting, running for political office and holding certain sensitive jobs. However, you're still permitted to move freely, hold employment, study, obtain social benefits like healthcare and enjoy other protections under Canadian law. You can also apply for citizenship. Before 2015, the Government of Canada processed most permanent resident applicants in the order they applied. When the Express Entry program launched in January of the same year, the country began using a range of factors to determine which applicants were most likely to succeed economically in Canada. Express Entry candidates with favorable credentials receive preferential status. Canadian employers can also view the candidate pool for direct recruiting. This may decrease the amount of time you spend waiting for an ITA, or Invitation to Apply for permanent residency, and it makes it easier to connect with job providers. Canadian provinces and territories that maintain their own Provincial Nominee Programs may also rely on the Express Entry system to recruit candidates for nomination as immigrants. Some of these candidates still need to meet the eligibility requirements for one of the three federal programs, but different provinces also have their own streams, or programs designed to target specific immigrant groups. These streams include their own eligibility requirements. Going through the Express Entry system doesn’t mean that you’re instantly accepted as a permanent resident or guarantee that you'll receive an ITA. Instead, the process enters you into a candidate pool where you’ll be evaluated further and ranked against other applicants. As you can see, the CRS rubric places a high value on provincial or territorial nominations and job offers from approved Canadian employers. The rankings account for factors like your age, proficiency with official languages, previous foreign and Canadian work experience and whether or not you've earned a post-secondary degree. The spousal and common-law partner factors are only considered for applicants who plan on bringing their spouses to Canada with them. These couples will fare best when both individuals demonstrate language skills and educational experience. Once you’ve entered the Express Entry pool by completing an online profile, you’ll remain eligible for ITA consideration for up to a year before your profile expires. If you satisfy the eligibility requirements, you’ll be granted a personal reference code in the form of your Express Entry profile number. You can use your profile number to create an account in the official national Job Bank and share your information with prospective employers. You can also provide it to provinces or territories that express interest in nominating you for immigration. It’s also helpful for creating a new Express Entry profile if yours expires before you receive an ITA. Express Entry invitations occur in periodic candidate selection rounds. Before each round occurs, the electronic candidate system will publicize the dates and times you’ll need to be aware of and which federal immigration programs will be selecting candidates. The round instructions also include specifics about how many ITAs will be issued, so you can get a good idea of how much competition you face. How Can I Apply for Express Entry Visa Consideration? The Express Entry system is designed to be fairly streamlined. Here are the basic steps. Take a French or English test through an agency approved by Immigration, Refugees and Citizenship Canada, or IRCC, and pay any fees associated with testing. You’ll include your test results in your Express Entry application. Different immigration programs have distinct minimum score requirements. Individuals who earned their educations outside of Canada might have to complete Educational Credential Assessments, or ECAs. ECA reports confirm that your credentials, such as degrees, diplomas and certificates, are both valid and equivalent to what you’d typically receive in Canada. ECAs aren’t mandatory for those who already possess at least a year of Canadian work experience or work experience in skilled trades. Nonetheless, completing this process could increase your CRS score and heighten your chances of immigrating successfully. You must go through an organization approved by Citizenship and Immigration Canada, or CIC, to obtain a valid ECA. You’ll also have to pay that organization’s fees. Canada classifies jobs according to a system known as the National Occupational Classification, or NOC. To ensure that your prior work experience is acceptable under one of the immigration programs, you’ll need to consult the NOC website. Next, use your language test results, your NOC skill classification and your ECA to see if you meet the eligibility requirements for the Express Entry pool. You can visit the Come to Canada tool to figure this out in around 15 minutes. If Come to Canada confirms your eligibility, you’ll be given a reference code and a link to your account. From here, you can create your profile by providing details concerning your identity, contact information, education history, work experience, language proficiencies and family. This process is free. To complete it, you’ll need information like your credentials, NOC and ECA report. You’ll also require any provincial nominations, Come to Canada personal reference codes and Canadian job offers you’ve received. Most applicants use their passports or other national ID documents to confirm their information. Once you begin the profile creation process, you’ll have up to 60 days to complete it. You can take breaks and come back at your convenience, but if you don’t finish within the time limit, you’ll need to start over again. When you’re finished, you should confirm all of your entries and submit the profile. Your information will remain valid for one year, but you’re solely responsible for updating any changes. Finally, remember to register with the official Job Bank no more than 30 days after you submit your profile. Your Express Entry application can expire automatically if you fail to do so. The only circumstances under which Job Bank registration isn’t necessary are when you’ve received and supplied evidence of a valid Canadian job offer or a provincial or territorial immigration nomination. 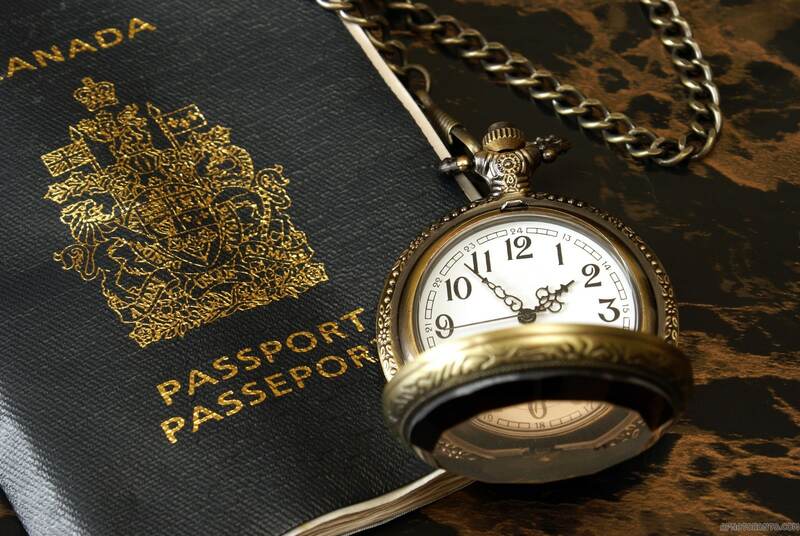 How Long Does the Express Entry Visa Process Take? Remember that individual candidates aren't guaranteed to receive ITAs. Those who rank higher are typically more attractive to employers, territories and provinces, however, so they may spend less time waiting. Other factors that can reduce your wait include whether or not you keep your profile information current and how diligent you are about contacting employers and sharing your Express Entry profile number with them. After you receive an ITA, you’ll have 60 days to fill out the permanent resident application online. You’ll be asked for documentation of medical exams and police certificates concerning your criminal record, so it may be wise to get this information ready beforehand. CIC tries to process at least 80 percent of all the permanent resident applications it receives within no more than six months, but your experience may vary. Should I Apply for an Express Entry Visa? Express Entry is the accepted method of applying for permanent resident status. If you plan on becoming an economic immigrant to Canada, going through the online system and contacting employers is your best bet.